Starring: Brad Pitt, Sean Penn, Jessica Chastain, Fiona Shaw, Irene Bedard, Jessica Fuselier, Hunter McCracken, Laramie Eppler, Tye Sheridan. Director Terrence Malick is an enigma all his own. He’s a closed book when it comes to his personal life and he never gives interviews. Very little is known about him but the one thing that is known, is that he was once a philosophy lecturer and this certainly shows in his visually poetic films. On the anniversary of his brother’s death, troubled architect Jack O’Brien (Sean Penn) ponders his place in the universe, leading inevitably to powerful memories of his turbulent 1950’s childhood in Waco, Texas – in particular, his formative relationship with his loving mother (Jessica Chastain) and disciplinarian father (Brad Pitt). The themes for this film will be discussed endlessly but essentially they come down to Birth, Life & Death. Ranging from astronomical to our very own existence. Our paths, be them intuitive, spiritual, empirical or material are also explored. Within this birth, life and death is the violence and cruelty. Most are essential parts of life, while others are unnecessary or learning curves in the journey itself and Malick ruminates on them all. This is quite unlike anything you’ll come across. The closest you’ll get will come from Malick himself, in his previous films. The man has a certain unmistakable style all his own. He’s slow, methodical, even ethereal and there is no other quite like him. I love his idiosyncracy and ability to magnify life and his wonder of it. “The Thin Red Line” still remains his masterpiece, but that took a while to grow on me much like I think this will. I loved this, but I have a sneaky feeling I’ve not taken it all in yet and it may grow to be something even more stupendous than it already is. This is a film that will require several viewings to fully appreciate and most certainly will not appeal to everyone. The beauty of Malick is his appreciation for nature in all it’s forms. Sometimes it can be like watching National Geographic but rightfully it plays a part in his creative process, as it plays a part in everything around us. There’s no escaping it and Malick is highly attuned to this, helped by Emmanuel Lubezki’s gorgeous cinematography. Not content with just some stunning shots of the flora and fauna from our planet, Malick branches out to show us the birth of the universe which is highly ambitious and nothing short of breathtaking. It may well split some peoples opinions of it’s relativity as a whole, but this is no simple family drama. The human element to this story is only the microcosm of the macrocosm. It may well have been possible to omit the cosmic section of the film but it’s inclusion is only a visual expansion of the point and themes that Malick is exploring. Amongst all the visual splendour there are three fantastic performances. 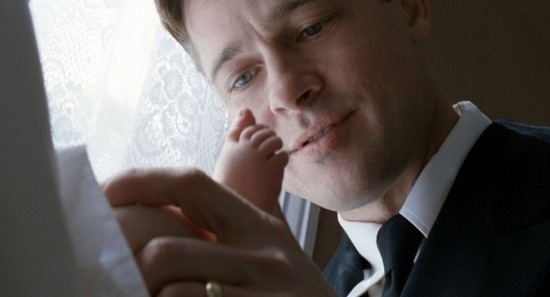 Hunter McCracken playing Jack as a young boy shows a great talent and as the vastly different parents Jessica Chastain is wondrously graceful, while Brad Pitt is astonishingly good at being stern and quixotic. Sean Penn however, is given very little to do and his talents are somewhat wasted. Malick has achieved mainstream arthouse cinema with this transcendental contemplation of life. It’s an accomplished and ambitious film that’s highly spiritual and deeply philosophical. Simply put, it’s a majestic piece of visual poetry. This entry was posted on February 3, 2012 at 10:33 am and is filed under Drama with tags 2011. You can follow any responses to this entry through the RSS 2.0 feed. You can leave a response, or trackback from your own site. Yeah, you definitely got this film, it shows in your review, and while I definitely agree with what your’e saying, I definitely took a different path with this one. I so wanted it to be The Thin Red Line in 1950s Texas with Pitt and Penn locked in desperation to be one, to be family, to make sense of their entanglements but I just never felt like it arrived there – or anywhere (for me). Maybe I’ll return again one day and it will find me after cocktails and sushi watching a beautiful sunset sliding into the ocean and I’ll be in the right frame of mind to visit the cosmos of Malick’s tortured soul. Then again, it’s unlikely even that will change my mind. 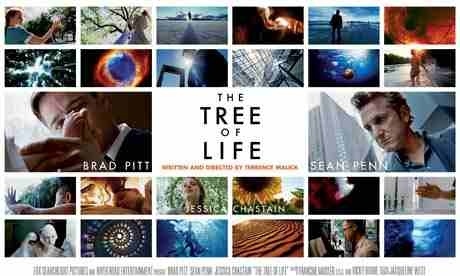 Here’s a little snippet from my review (thanks again for reading it)..
“..[Tree of Life] A film is a film by its ability to engage, alone, as it is and not by which we are told it is, by the conveyance of story constructed of photographed images and sounds of a certain length, containing characters and a sense of time, place and purpose. Otherwise it is a cardboard box of dented flaps and tattered purpose, empty except for that which you put in it instead of for that which it offers, an invitation for the treasure of discovery inside…” and for me, Tree doesn’t get there. I see what your saying man and it’s a great argument for being against it. I know Pitt and Penn never really make sense of their entanglements but do any of us ever completely do that for ourselves in life? Your spot with your comment about it being empty except what you put into it. Maybe I projected too much into but I left it feeling very satisfied. Not completely satisfied, mind you but I couldn’t get it out of my head for weeks. Any film that encourages that type of engagement is cool in my book.